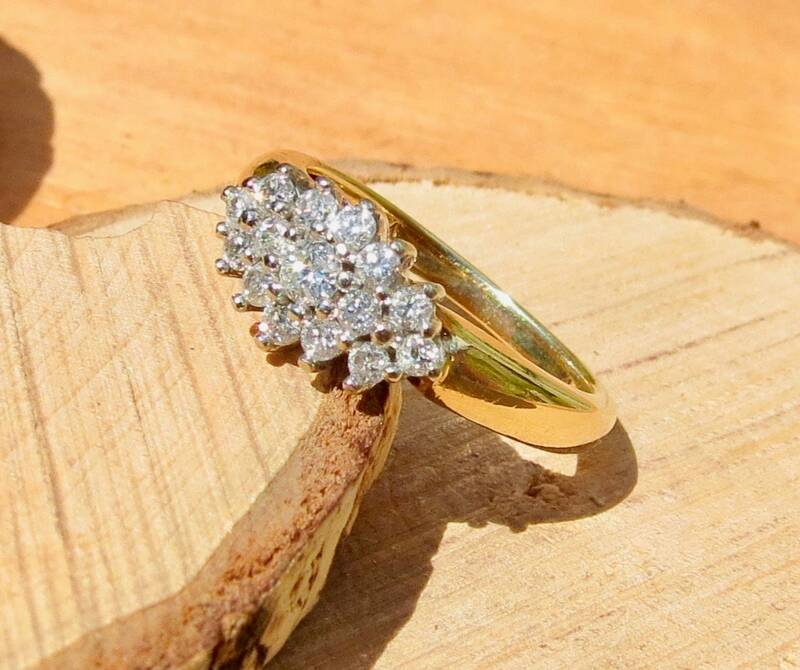 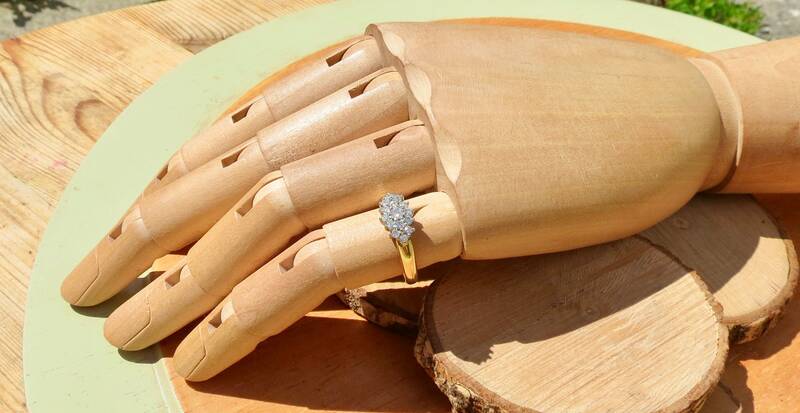 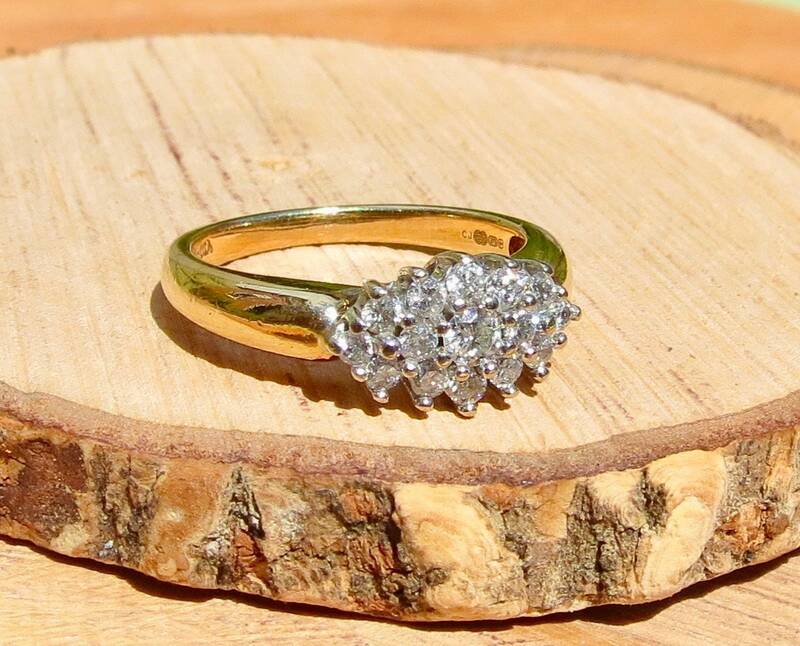 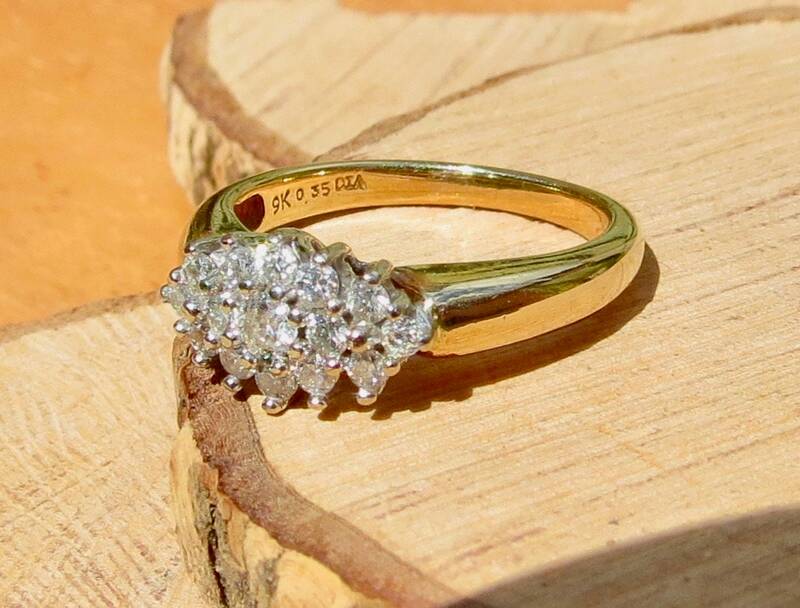 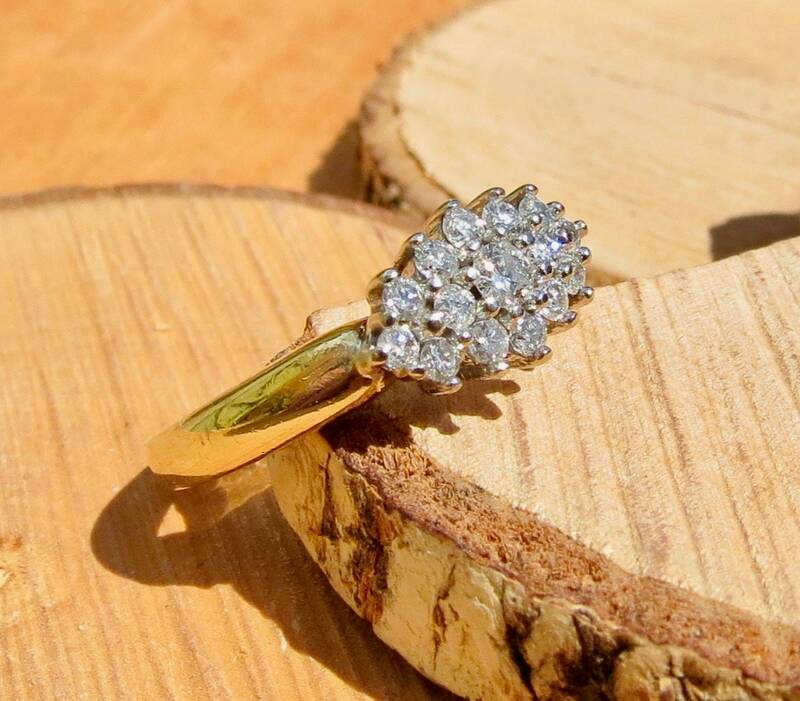 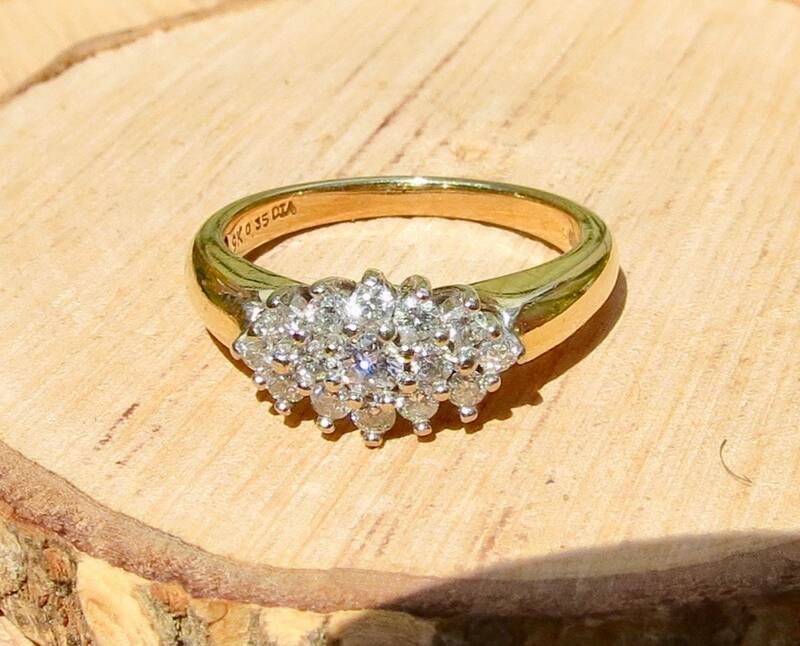 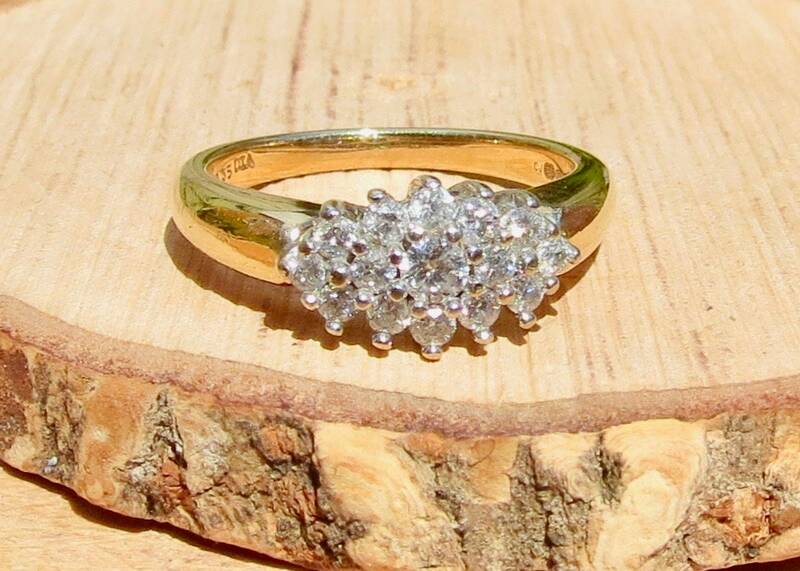 A vintage 9k yellow gold 0.35 Carat diamond cluster ring. 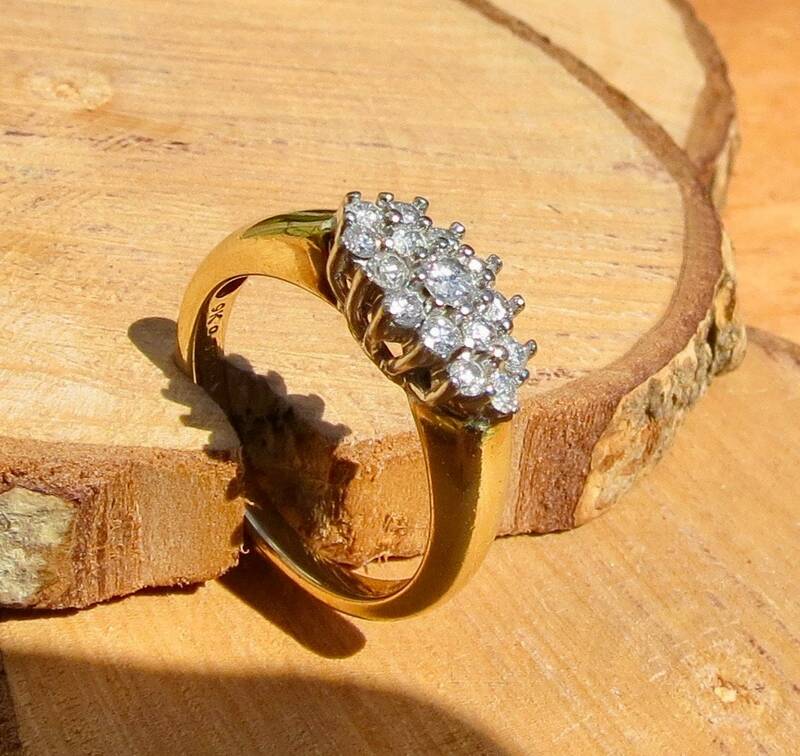 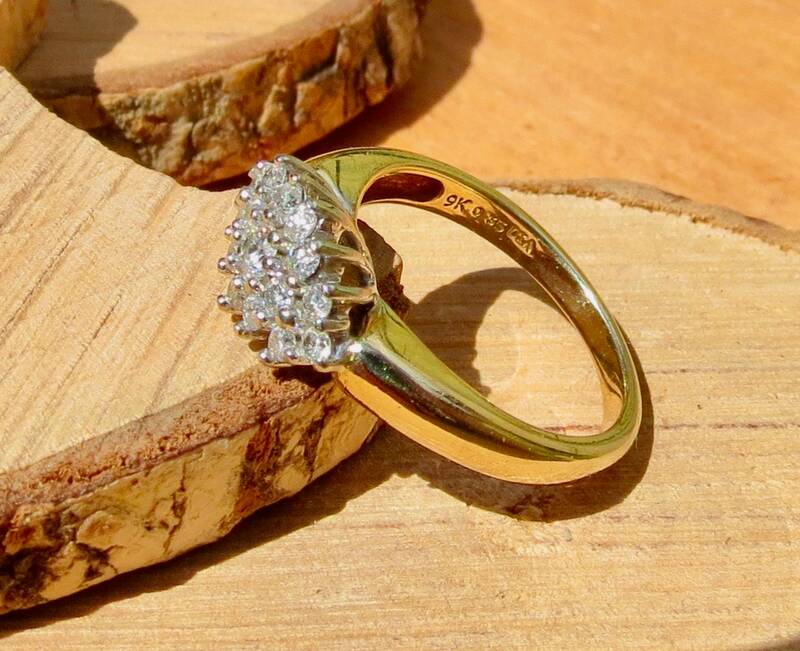 This vintage 9k yellow gold ring has 0.35 Carat of 15 brilliant cut diamond stones in a three tier cluster setting. 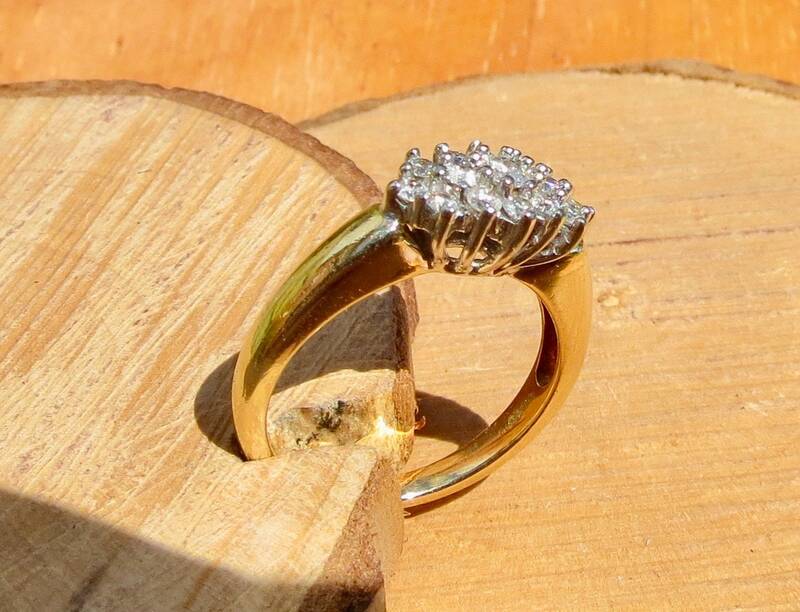 Hallmarked 9K DIA for diamonds and makers mark.